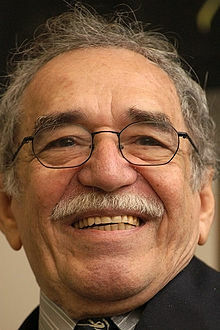 It is with some sadness that the news is seeping out that Gabriel García Márquez has more than likely written his last story. It seems that the unwarranted side effect of the treatment for his lymphatic cancer is the increased onset of dementia. I guess when you are 85 there some high prices to pay. A giant among giants of 20th century literature, he was awarded the Nobel Prize for Literature in 1982. He has given so much pleasure to millions of people around the world with books that can be justifiably called great works of art. Wikipedia has the facts, I’m not going to plagiarise them here, so I’ll just talk about my own appreciation of his work, and my favourites. 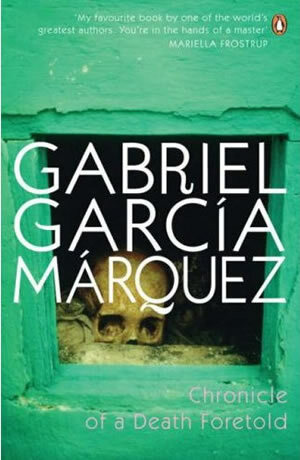 “One Hundred Years of Solitude” – what a fantastic book. There were times when reading through this superb tale of multi-generational strife and adventures that I was aware that there is more happening on one page in this book than happens in many modern day novels. It calls for some concentration, the habit of naming characters after members of previous generations doesn’t help, but hey, if it was on a plate, it wouldn’t be the same. You got to put something in sometimes. 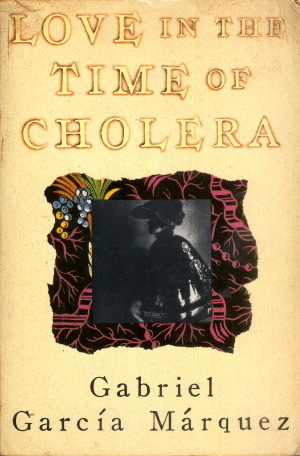 “Love in the Time of Cholera” – there is a passage in this book, about 2/3rds the way through, when GGM talks about a character tapping on someone’s bald head. I couldn’t find the passage now if you asked me, but when you are immersed in this story of devotional love this passage just stands out as so funny it brings you right back down to earth. Genius. “Chronicle of a Death Foretold” – the murder story in reverse. Superb. My little tribute is just a ripple in the lake of admiration for his work. If I was left with just one it would be “100 Years….” Breathtaking. May he bask in the warm glow of the sun and enjoy his retirement knowing that he has led a life and made an impact, and that he stands shoulder to shoulder with the greatest writers who ever lived. I raise my glass, Sir………. He does more in the first chapter of 100 Years than most writers will do in a lifetime. Incredible. We learn so much from him. I tip my hat to you. I agree completely. Absolutely, Chris, I’m glad you agree. One of my favourites too. And love the novels you have highlighted here. Coincidentally I have In Evil Hour sitting around waiting to be read from my local library. Time to pick it up, methinks. I started his biography before the news came out. It’s a bit of monster, but a fitting tribute. 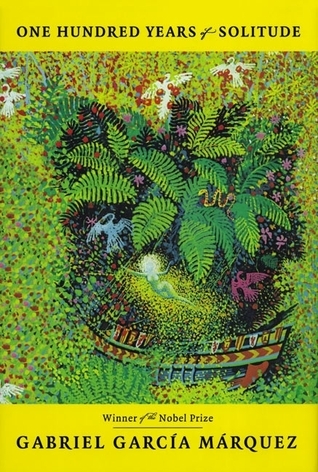 I will go read One Hundred Years of Solitude for the eight time and that will make me feel better. Oh, too true, Vincent. I think I’ll do the same. Oh my this saddens my heart.. The first time I read any of his works, “Memories of my Meloncholy Whore” I wept for days.. wept for the sheer beauty and depth of his words.. He is and always will be one of my favorite writers. May his journey to the other realm be a peaceful one.. Thank you GMM for your literay wonders!! Thanks, Lynne. I enjoyed “Melancholy Whores” too. I dare say, I’ve never been disappointed by anything I’ve read of his. I’ve put “100 years…” on my reading list. Thank you for sharing :-). I haven’t read him yet but I know someday I will! Thank you for the loving tribute. We all have such relationships with our favorite books and writers. It’s always good to read about someone else’s.